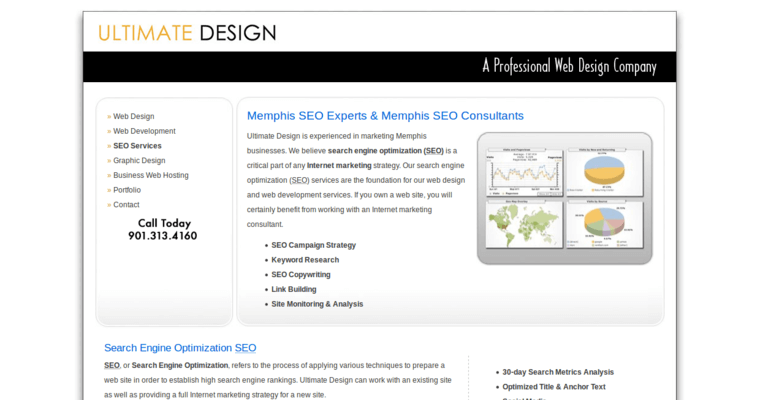 SEO Memphis Online Marketing—also known as Ultimate Design—is a professional web design company based in Memphis, Tennessee. It works with companies to improve search engine rankings with optimized websites that are user-friendly and covert site visitors to customers. 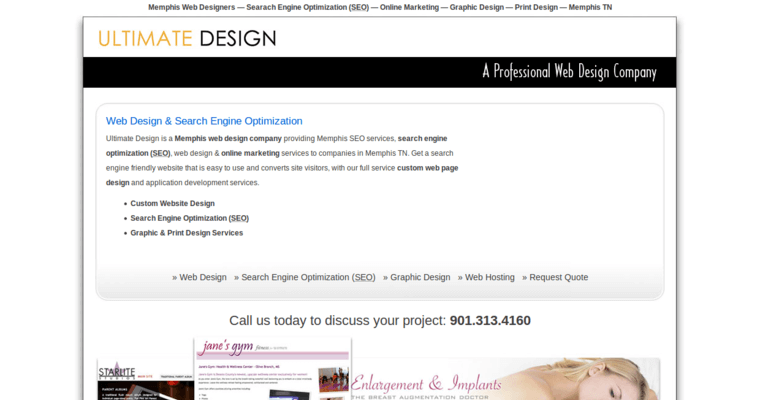 The services that Ultimate Design provides include search engine optimization (SEO), pay-per-click (PPC) advertising, custom website design, web hosting, and graphic and print design. Around since 1998, Ultimate Design has worked with several clients, which include Complete Medical Care of Germantown (CMCG), Jane’s Gym, Germantown Aesthetics, The Langston Group, Medical Business Solutions, and the Christ Community Health Fellowship.